It seems to be the ‘fruity’ season recently. 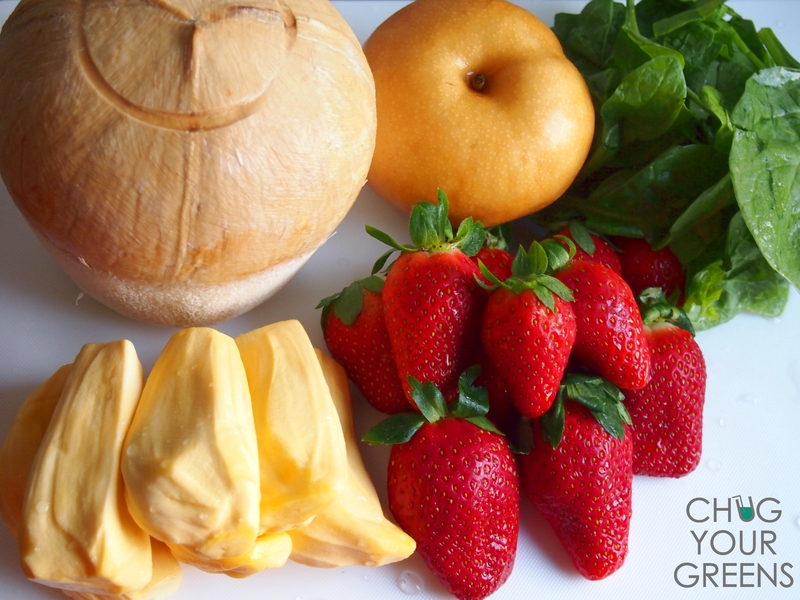 I’m been seeing so many varieties of tropical fruits at the supermarkets and I just want to add them ALL to my Green Smoothies! I love that they are all so flavoursome and packed with great nutrients! The other day, I came across pre-packed Jackfruit (bulbs) and I quickly grabbed a pack before the shelf gets wiped out. They are very fast selling! Thanks to the pre-packed version, else I would not know how to cut that huge body of it to remove these yummy flesh! Just looking at these colours makes me so happy! I love adding Jackfruit to my Green Smoothie because of its distinct aroma and also because it gives my drink a thick consistency. Frankly, I do prefer green thickies because they are more filling (I get hungry all the time 😆 )… So, what are the benefits of these sweet smelling bulbs? is high in dietary fiber and helps in smooth bowel movement. is rich in phytonutrients which help reduce free radical damages in your bodies. contains Vitamin A which promotes good vision and healthy skin. has high Anti-aging properties and this helps slow down degeneration of cells. contains high amounts of Potassium and aids in reducing blood pressure. is a rich source of Vitamin C to help boost your immunity. is rich in magnesium which is vital for Calcium absorption, thus helping to prevent bone related problems (e.g osteoporosis). 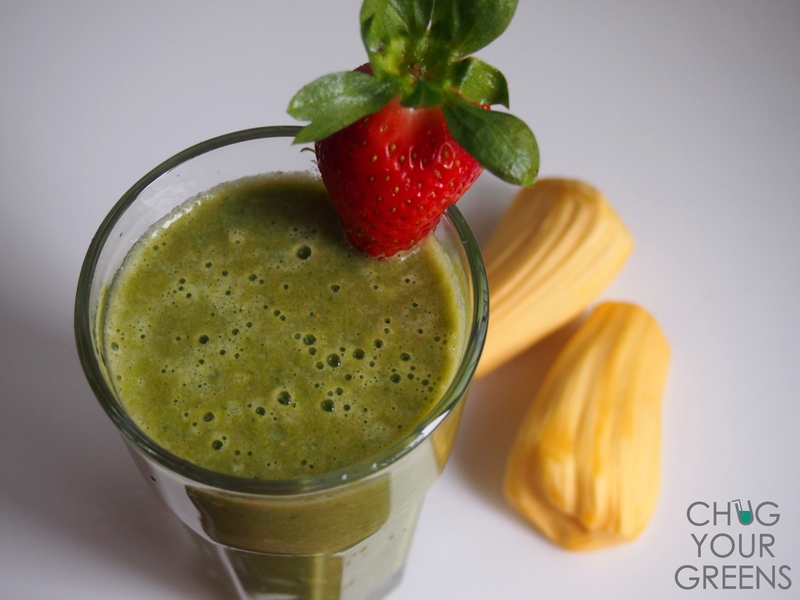 This Green Smoothie is truly delicious and gives so much exciting flavours. Coconut water, together with the Pear, gives a sweet, refreshing taste. Strawberries add some slight tartness and the Jackfruit leaves a lovely, unique after taste (which apparently, some people think is pungent :lol:). 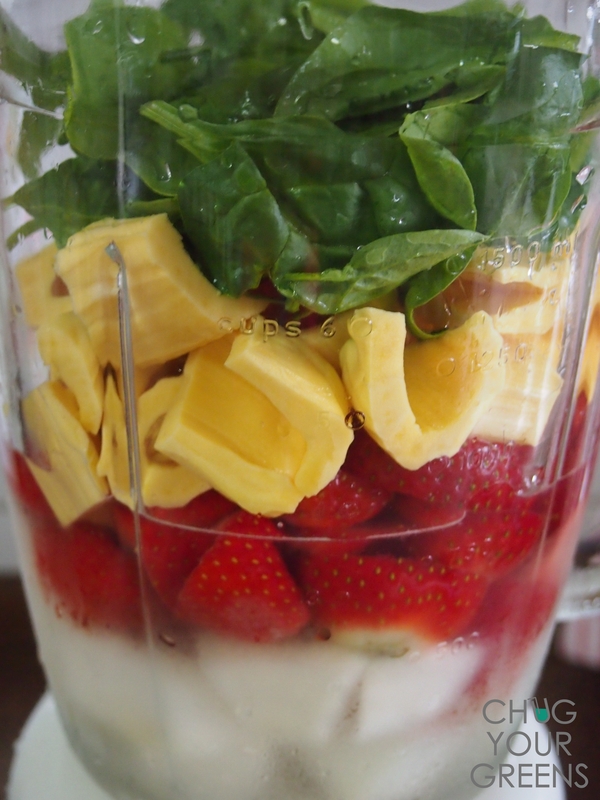 You can also add some oatmeal and this will be a wonderful option for breakfast! 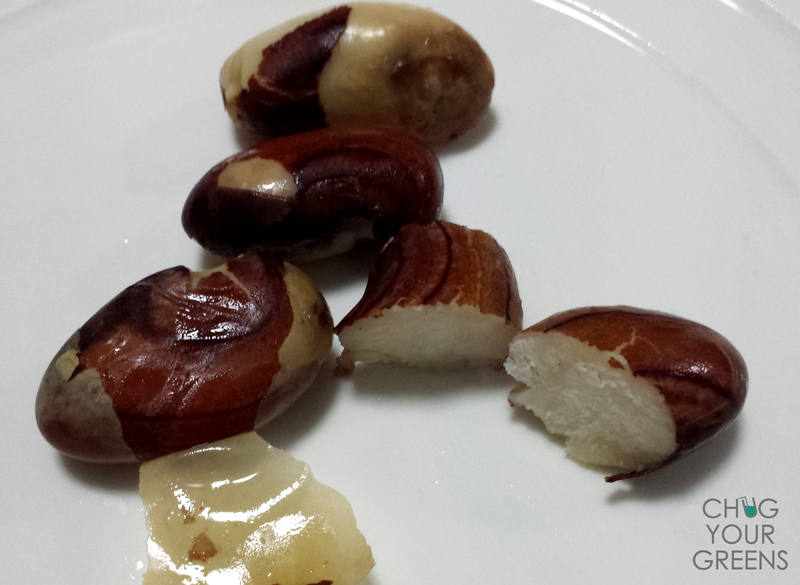 Oh and by the way… Don’t throw away the Jackfruit seeds! I usually place them into boiling water for about 15mins and consume them as a snack. They taste somewhat like chestnuts and are also packed with amazing nutrients… Remember to peel off the outer layer from the seed! I have never heard of Jackfruit before. Thanks for this teachable moment. I wonder if they are available in the US? I’m going to research right now. Hi ! Thanks for liking my post!